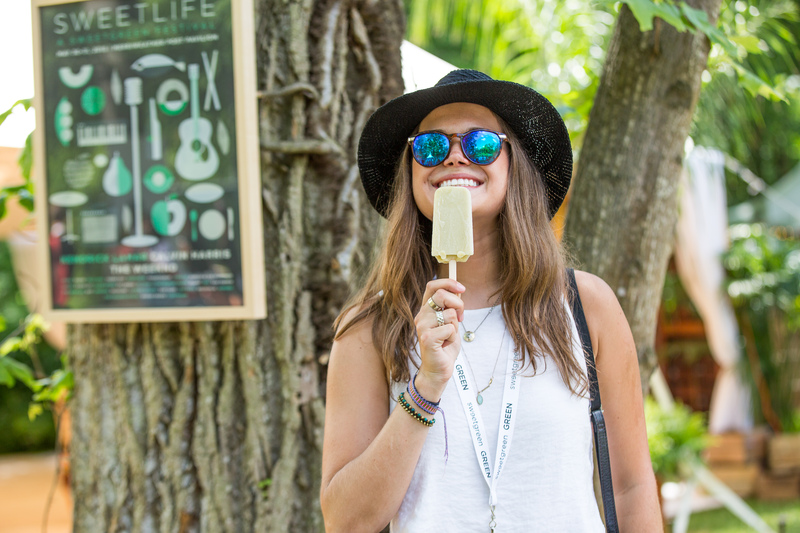 More than your average music festival, Sweetlife brings together renowned artists, music fans and smartly sourced, seasonal food. Day 1 of the festival at the Merriweather Post Pavilion in Columbia, MD boasted incredible performances by artists including Kendrick Lamar, Pixies and Bleachers while offering festival-goers an array of healthful eating options from the likes of Applegate Farms, The Sprouted Spoon, Woodland’s Vegan Bistro and, of course, festival organizers Sweetgreen restaurant, with dishes including kale Caesar salad, hummus cups and gazpacho. Festival-goers also got to choose from several food trucks serving freshly made, locally sourced food. What’s more, proceeds from the festival will go to support Sweetgreen in Schools, an educational program that introduces kids to the benefits of healthy, nutritious eating. Sweetlife’s three stages were packed to the gills when Lamar, Pixies, Bleachers, SZA, Misterwives, Tove Lo, and other artists played in the sweltering heat at Sweetgreen’s sixth annual Sweetlife Festival. One of the first acts of the day, pop-rock band Misterwives, played a surprisingly charismatic set, greeting fans with clever pop songwriting, which included saxophone and trumpet parts. Misterwives ended their set with an energetic cover of the hit single “Uptown Funk” by producer Mark Ronson and Bruno Mars, before thanking the crowd for receiving them with an overwhelmingly positive reaction. Bleachers, the side project of fun. 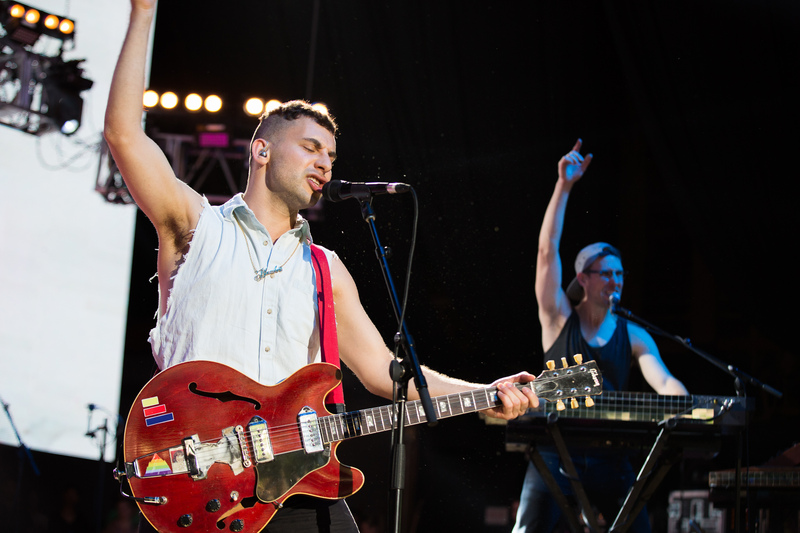 guitarist Jack Antonoff, received a thunderous reaction from the crowd during his set. Antonoff, along with his touring band, played bombastic arena-rock heavily influenced by ‘80s rock musicians such as Bruce Springsteen and Billy Joel. Antonoff worked the crowd with near flawless charisma, coaxing them to cheer and chant. Bleachers’ set also featured two drum kits, which added further punchiness and impact to the band’s soaring, anthemic melodies. Along with his main band fun., Antonoff started a charity called Ally Coalition, which provides support and fights discrimination against the LGBTQ community. Early in the evening, alternative R&B singer SZA, dressed in basketball shorts and a crop-top, played a soulful set. SZA sensually danced around the stage as she performed her brand of dreamy neo-soul. On the song “Warm Winds,” pristine jazz chords and slick R&B drums accentuated SZA’s powerful voice and cadence. Her song, “Child’s Play,” featured a prominent sample of the tune “About You” by producer XXYYXX, which gave the track an ethereal quality. The highlight of SZA’s set was a performance of the song “Aftermath.” The track featured shimmering keys and powerful piano chords, as well as an interpolation of the song “Sucka N***a” by classic hip-hop group A Tribe Called Quest. Every member of her touring band was in a tight pocket, and played in an almost trancelike state. It was nearly impossible navigating through the immense crowd during Swedish synth-pop singer Tove Lo’s set. The sea of fans at the Treehouse Stage sang along to Tove Lo’s set, as she performed their favorite tunes. Tove Lo appreciated the love she received from the crowd, and constantly expressed her gratitude in between songs. Her song “Habits (Stay High)” chronicles the protagonist’s struggles to get over someone through substance abuse, and “Thousand Miles” was about missing her boyfriend while on tour. Legendary indie rock band Pixies were in tip-top shape, playing at the venue’s Treehouse Stage. The band sounded revitalized despite the departure of bassist Kim Deal in 2013, kicking off their set with an impeccable performance of their song “U Mass.” The highlight of the band’s set was their performance of “Wave of Mutilation” from their critically-acclaimed album Doolittle. 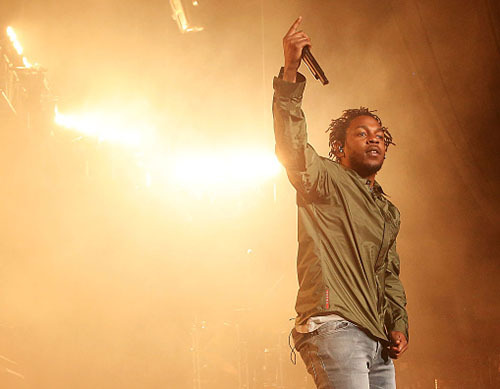 Lamar received one of the most overwhelming receptions of all the acts on Saturday, and played an encore of his high-energy, aggressive song “Mad City.” In the middle of the song, Kendrick invited a member of the audience to rap a verse. Despite only playing one track from his newest album To Pimp a Butterfly (“Alright”), Kendrick performed several tracks from his critically acclaimed good.kid, maad city album. The Sweetlife Festival also featured a number of vendors and organizations dedicated to the betterment of mind, body and the environment. Boxed Water, a sustainable water company, offered boxed water contained in 100% recyclable cartons. Boxed Water works with world water relief, reforestation, and environmental protection projects. At its booth, Boxed Water said that for every tweet of “#retree,” the company would plant two trees in Oregon’s national forests. Non-profit organization The Nature Conservancy also made an appearance at the Sweetlife Festival. The Maryland/DC chapter of the organization set up a booth advocating for water preservation, educating festival-goers about the importance of saving the Earth’s water supplies and keeping it clean. The Sweetlife Festival continues on Sunday, May 31, featuring performances from Calvin Harris, The Weeknd, Charli XCX, Marina & The Diamonds, Vance Joy, and many more.